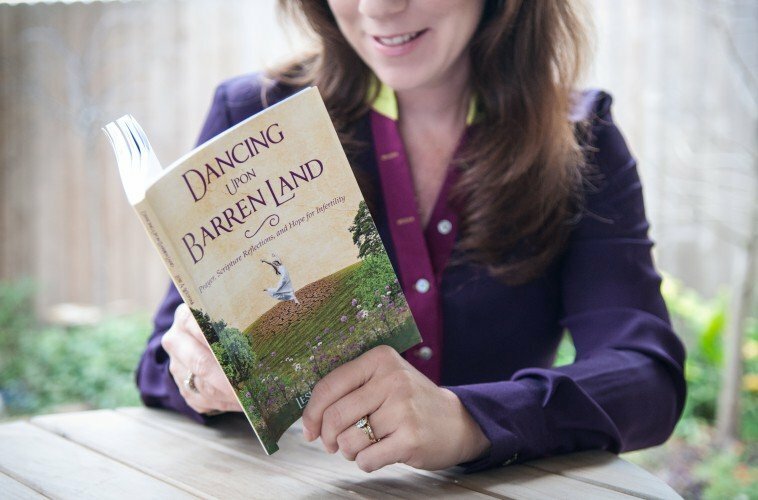 Three years ago today my book, Dancing Upon Barren Land – Prayer, Scripture Reflection & Hope for Infertility was published. It’s hard to believe it was three years ago! I must say, when I first held it in my hands, I felt such a sense of accomplishment. An accomplishment celebrated with those who’ve been with me on this journey. For anyone who wants to write a book I ENCOURAGE YOU – Just do it! What are you wanting for? Let this New Year at least be a time where you’ll start. Yes, it will be hard at times. Yes, you’ll feel vulnerable. It’s the feeling of having your inside thoughts exposed to the outside world. Yes, you’ll question yourself. And there’ll be tears, frustration and everything in between! But who knows? For those of you who have purchased a copy I want to convey a heartfelt “THANK YOU!” I pray the words written, His Word has been a healing balm to your soul. It’s available both in traditional and eBook formats. You can order and purchase your copy here. Am I trying to promote the book ? Why, Yes, of course! For two reasons; first, it’s a good Christian resource for you or someone you love who’s dealing infertility, second, this is a non-profit organization and your purchase and donations helps support and fund the ministry. Thank you to all of you have purchased the book. It means so much to me. I pray it has been a help and blessing to you or someone you love. P.S. If you’ve read my book would you consider writing and honest review on Amazon? If you’d like, you can do that here. Thank you so much!